Thank you for all your responses, they are listed below in no particular order. Please bear in mind that listings may change in subsequent years, but hopefully they will still be a good base point for your own research. Top Tip 39: What to do with your old cot mattress! Thank you to Shona for putting together this post!!! Please note, these are in no particular order! Karen suggested trying animal rescue centres as they sometimes take them and use them as beds. Vicki suggested contacting Ruth at Christ Church Chineham as she arranges for old mattresses to be sent out to Romania. Don’t miss out on future posts like this – you can receive updates directly to your inbox by email by adding your email address to the box on the top right of this page and hitting subscribe. You can also follow NorthHantsMum onTwitter,Google+,Facebook Page, Facebook Profile, LinkedIn and Feedly. I hope to see you there! I recently read an American post about “10 Mason Jar (What the US calls Kilner Jars) Lunches to have on hand” via the Super Healthy Kids Blog which was recommended to me by a NHM Reader a couple of years ago and thought it sounded like a brilliant idea. I was slightly sceptical about whether it actually worked but then I saw a work colleague with kilner jars on her desk and she said they were fantastic. She makes all her lunches for work on a Sunday, keeps them in the fridge and the salads are still in great condition by the following Friday. As regular NHM readers know I’m always looking out for any short cut’s that will make my life a bit easier so I knew I had to try this. It’s also pretty widely known that Mr NHM literally takes a step back when the word “salad” is used in any context ;-). I don’t know if it’s his northern blood but he categorically refuses to eat anything remotely salad like. Combine this with a child who has suddenly developed a “fussy food streak” and the only person I’m making any salads for is myself. I don’t have the time or inclination to spend every evening making only myself a salad…. until I tried the kilner jar method! I did what my colleague suggested and made up 4 kilner jars for the week on a Sunday and put them in the fridge. I also made up a kilner jar with cous cous and raisins and stored this in the fridge. It took me about 15 minutes of time to make the 5 jars but I was doing them at the same time as cooking another meal. I was expecting the salad and cous cous to be soggy by the time I used them but they weren’t, it was as if I’d just prepared them! I have no idea whether it’s because the jars are air tight but they are MILES better than using tupperware or lock and lock’s. I bought my kilner jars from The Range as they were the cheapest I could find. 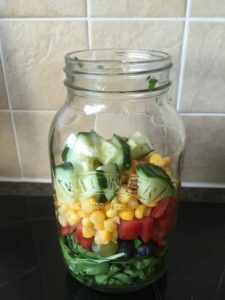 The pictures in this post are from one of the recipes in the original “10 Mason Jar Lunches” post, “Chicken Taco mason jar salad”, and I adapted it to what I had in the fridge and the equivalent to the US products. I used, rocket and watercress chopped up, then grapes and blueberries, then a chopped tomato, some sweetcorn, some cucumber and finely chopped radishes and topped off with some black beans (not in the picture as I got distracted!). I made the sauce from mild salsa mixed with creme fraiche when I needed it as I’d decided not to put it in the jar because I’m still a bit sceptical about whether the sauces will keep. I’m definitely going to try it next time though. When I needed the salad, I dumped it all out into my bowl, topped with the sauce and it was DELICIOUS! 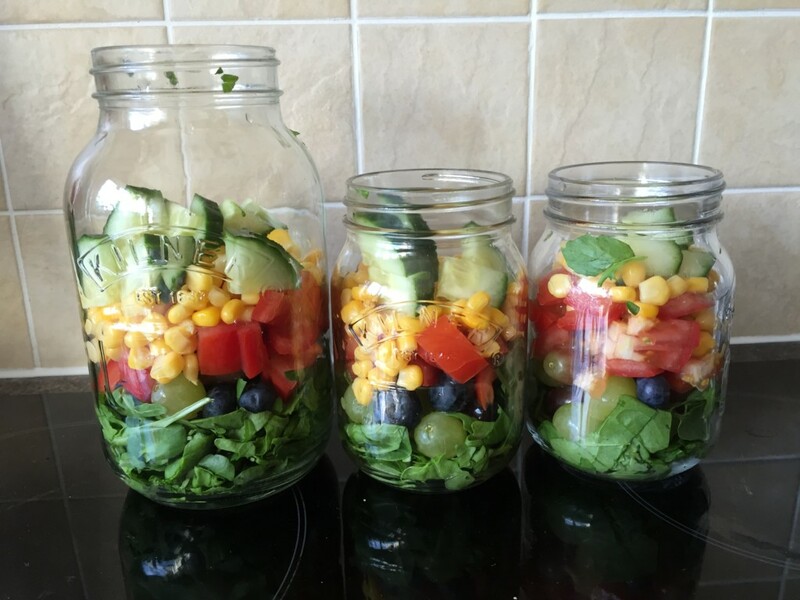 I highly recommend using kilner jars for storing food like salads and cous cous. Now I’m sold I’m going to try it on LOADS of other different foods and will report back soon! :-D.
Let me know if you have any good “kilner jar” recipes as I’d love to expand my current repertoire. YAY! It’s Half Term!!! Whoop Whoop!! So, on the off chance the weather is lovely during half term I thought I’d post up the responses that I asked for last year on on my “Louise nhm Smith” profile on Facebook, for top tips for staying cool with little ones in the heat. Thank you very much to everyone who responded and thank you to Shona for putting this together! Gazebo, paddling pool and lots of water and ice pops!!! Be still like crocodiles as much as possible! LOTS of water. Keep all windows shut to keep coolness in. Run cold water over wrists for 1 minute to cool down. Hats and lots of shade when outside. Sun shade, lots of water and paddling pool. What are your suggestions for keeping cool in the hot weather? I discovered Ecover limescale remover from a friend who raves about it. (yes, I’m well aware of how tragic that sentence is! lol). It’s great stuff, safe for the environment (and therefore little ones) and it does a FANTASTIC job of removing limescale. It’s quite expensive at £4 a bottle and I’ve only ever found it in Ocado, but it’s the only thing that gets my shower screen clean that doesn’t have harmful chemicals in. It does an awesome job on metal sinks too. Highly recommended if you want to get something that cleans but doesn’t have harmful chemicals in. 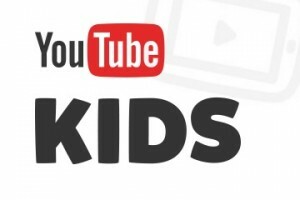 You Tube have put together a specific App for children which is called: YouTube Kids. If you let your little ones use YouTube a lot, this App will be perfect for you. Although YouTube can’t guarantee that there won’t be anything inappropriate on the App, it’s a lot better than your child using “YouTube” where they can literally stumble over anything. There is also a section which is tailored just for parents which explains how the App works. Apparently it tailors the content too, so your child will be shown more of what they like. So don’t start them off on “My Little Pony” if you don’t want their brains to rot :-D.
Someone told me a couple of years ago (Hi Laura!) 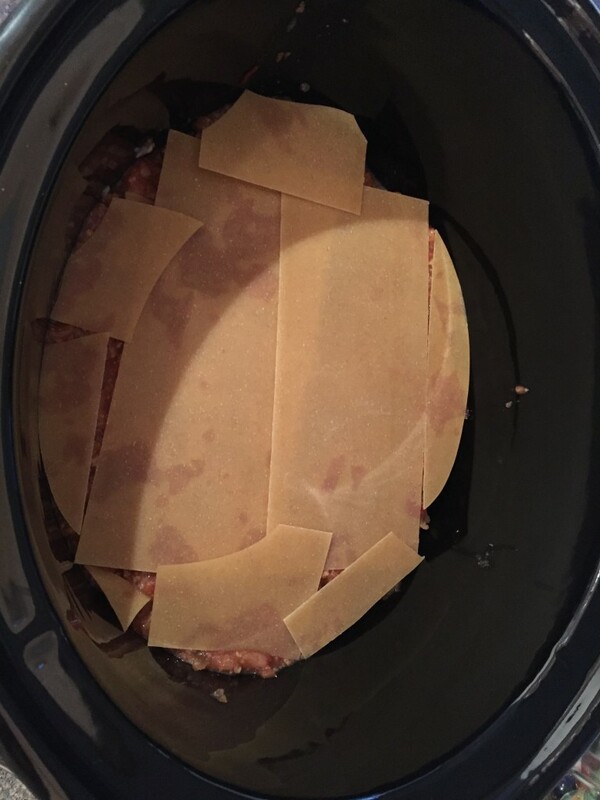 that you could do lasagna in your slow cooker . I was bit sceptical but have been wanting to try it for ages and finally got around to it a few weeks ago. We loved it so much, that we have had it twice in the past month! Which possibly explains why I’m not losing any weight at the moment! lol. and sometimes passata if it’s in the cupboard. I chuck it all in the slow cooker and let it cook for 8 hours. 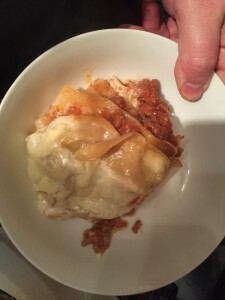 I make a huge batch and then freeze it and use it as a base for pasta and sauce, chilli (chuck in some mild chilli and red kidney beans for 30 mins when reheating) and now for lasagna. This sauce is very versatile! Layer your stuff. 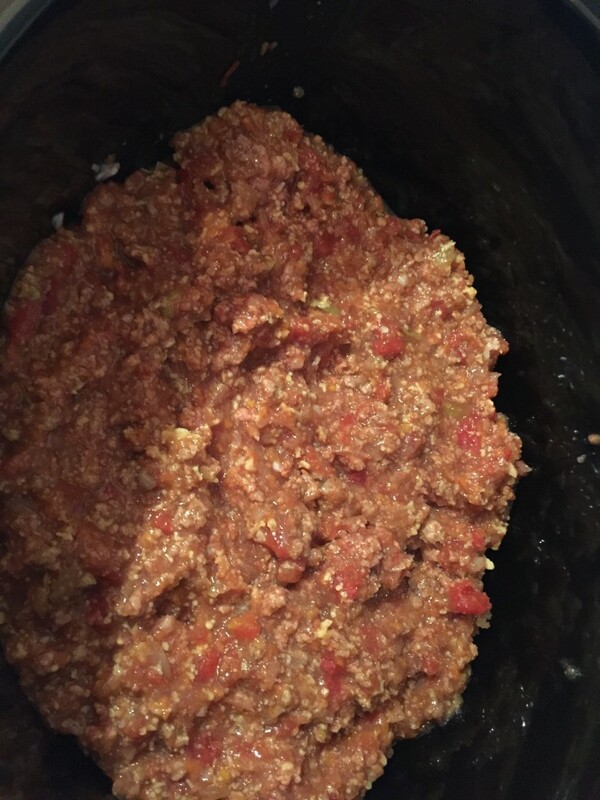 For my first layer I put in the bolognese sauce. 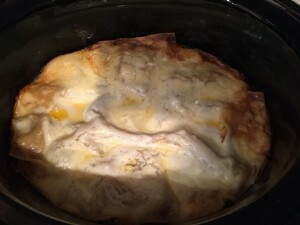 Then I break up the lasagna sheets to cover the sauce. 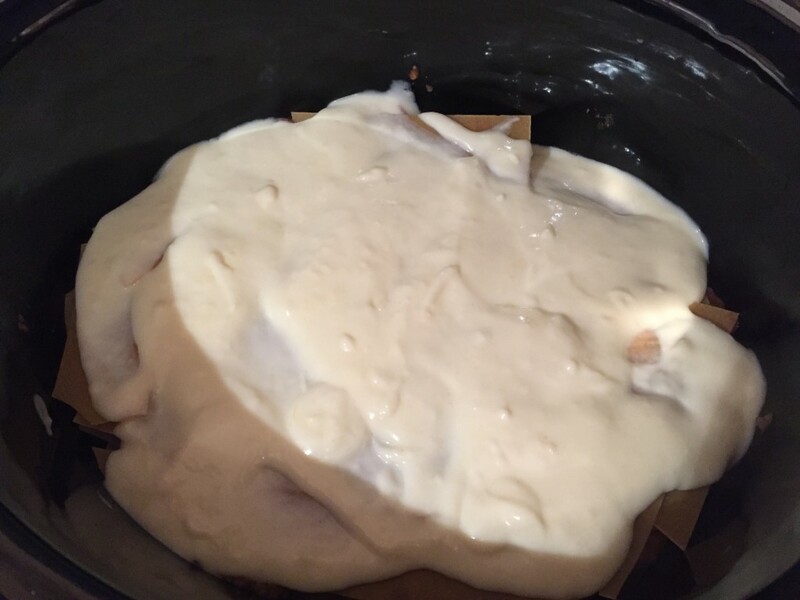 Then I add the cheese sauce (Make a rue, with butter and flour, add milk very slowly and keep stirring constantly and then boil so the sauce thickens. Add some grated cheese once sauce has thickened. You don’t need to use much cheese). Then I add another layer of bolognese sauce. You can add a layer of spinach here too if you want to add some more veg. Depending on how much “stuff” I have available, I will keep doing the layers until I’ve run out! However, the last two layers on the top are always the lasagna sheets topped with the cheese sauce and some grated cheese. 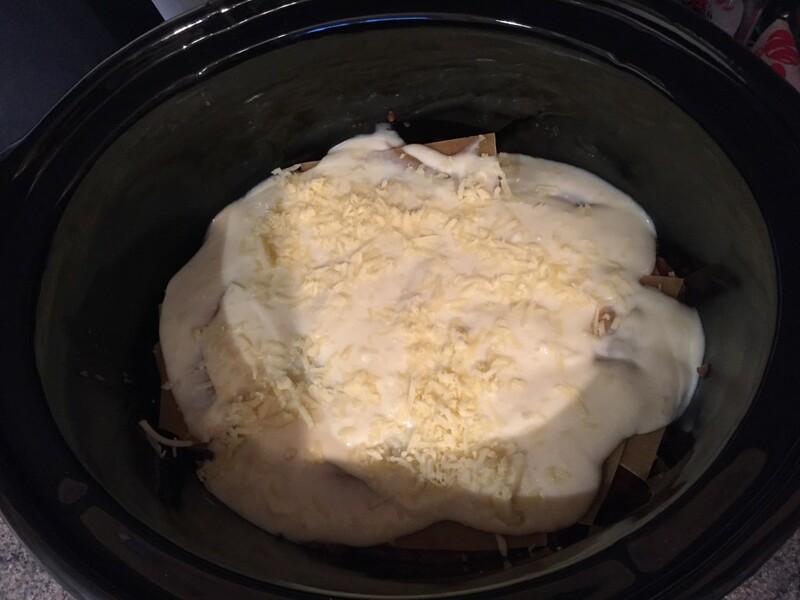 Then wack your slow cooker on low for 4 hours. I actually switched mine off after 3.5 hours last time because I could smell that it was cooked (it smells YUMMY!). We have ours with salad. (when I say “we”, I obviously mean me and Miss NHM as Mr NHM’s is still northern and refuses to eat salads :-D). I often end up storing what’s left in the fridge and ensure that when I re-heat the lasagna it’s boiling hot, so no risk of food poisoning. I’ve been looking for a healthy lolly recipe for a while and stumbled across this one via The Green Parent website. They are very cheap to make and much better for you than shop bought lolly’s. They are also suitable for dairy intolerant peeps. 1. Throw all ingredients into a blender, mix until smooth. 2. Pour into popsicle/lolly cases. 3. Freeze for 4-6 hours. Don’t miss out on future posts like this – you can receive updates directly to your inbox by email by adding your email address to the box on the top right of this page and hitting subscribe. You can also follow NorthHantsMum on Twitter, Google+,Facebook Page, Facebook Profile, LinkedIn and Feedly. I hope to see you there! I’ve always been really worried about exposing Miss NHM to technology stuff that isn’t age appropriate. I mentioned this to a fabulous friend of mine recently and she sent me the link to this FANTASTIC website. If you are looking for suggestions of age appropriate Apps to download or which films are suitable, etc. I recommend checking this website out. Thanks very much fab friend :-D.